Let us always remember to Celebrate Love… Life… And the Music of PRINCE! 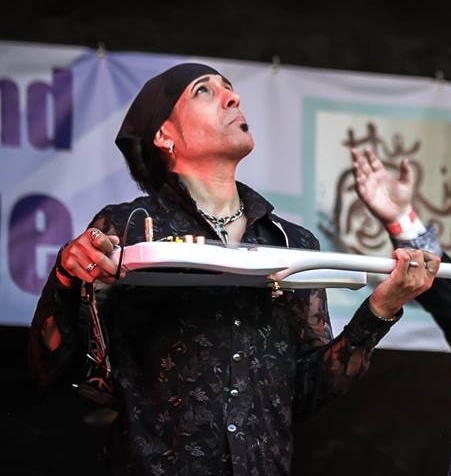 “From being babysat by Prince’s mother, Mattie, after my adoption into the Chase family, to my work with Prince on the set of his film ‘Graffiti Bridge,’ to performing for a year with Brown Mark (Bassist for Prince and the Revolution) in the band Cryptic… like SO many of us around the world, the music of Prince and the Minneapolis sound has been the soundtrack to my life. “After a week of heartache in his absence and while considering retirement from the Chase & Ovation Prince Tribute, it has become abundantly clear through the outpouring of unconditional love that we’ve received from Prince fans all around the world, that discontinuing our performances of his music would be a tremendous disservice to the very one who allowed me to do it in the first place: PRINCE himself! As difficult as the upcoming shows will be to perform, Chase & Ovation will indeed honor all dates and has begun accepting opportunities to showcase his music around the world. “On a personal note… Why did Prince allow me to perform his music while the world knew how closely he protected his art?